Pink Pangea is the community of women who love to travel. It’s the place where you can get authentic travel information from women just like you who want to see the world and are already doing it. Post your travel stories; join one of our international writing, yoga, and hiking retreats; sharpen your writing skills in our online workshops; and connect with a community of extraordinary women. As international travelers, we became frustrated by the lack of credible information about travel for women. At the time, existing travel sites presented—at best—a paragraph that dealt with women’s concerns and others were filled with non-specific information. We set out to create a platform where women could share their unique stories throughout the world. And in July 2009, Pink Pangea was born! We invite you to join women from around the world in sharing the obstacles you came across, the challenges you overcame, the solutions you found, and of course, all of the amazing places you saw and people you met! Meet us at one of our retreats and experience the rejuvenation that comes from spending a week doing something good for the soul in a stunning destination. 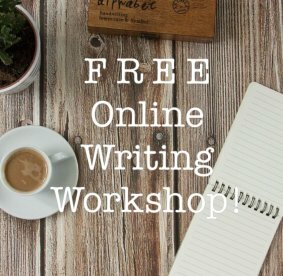 Or join an online workshop and connect with women who love to travel all over the world. We believe that every woman has a story to tell. That includes you. Whether you’ve trekked the Himalayas or road tripped to a nearby town– we want to hear about your experience. Interested in getting involved? Get in touch here! A traveler and writer, Rachel Sales’s two loves meet in Pink Pangea. Before launching Pink Pangea, Rachel worked in tourism, helping to connect young adults to meaningful volunteer and internship opportunities abroad. Rachel has traveled extensively in the Middle East and Europe, and is constantly searching for flights to countries in Eastern Europe that haven’t become hot travel destinations—yet. Rachel has worked with writers from all over the world, helping them to express their diverse travels in a multitude of formats, including creative nonfiction, listicles, how-to guides, poetry, and more. Having worked with thousands of women, she loves guiding writers in capturing exactly what was so meaningful about their journeys. Rachel has led writing workshops in Italy, Israel and the USA. Each day, Rachel is inspired by the women she meets through Pink Pangea, who set out to see the world, armed with a love of adventure, curiosity, and passion. Rachel holds a B.A. in English Literature and an M.F.A. in Creative Writing from Columbia University. She currently lives 20 minutes from the beach in Tel Aviv, Israel with her husband, Ben and son, Dov. Elen Turner is a writer and editor who lives in Kathmandu, Nepal with her Nepali river guide partner. Elen’s been travelling all her life, as her parents were keen travellers. She was born in the UK but had her first taste of living abroad at three years old, when her dad taught in the West African country of Sierra Leone for a year. Since then she’s lived in New Zealand, the Czech Republic, Japan, Australia, the USA, and now Nepal, and has travelled to over thirty other countries. Somewhere along the way Elen developed an obsessive passion with the countries and cultures of South Asia. In 2012 she completed a PhD at the Australian National University, which examined the contemporary Indian feminist publishing industry. Although she came up with all kinds of academic justifications for the topic, it’s an open secret that she really only put herself through so much academic stress for the chance to take numerous research trips to India. She’s now been to India around six times (she’s actually lost count! ), and her biggest travel dilemma is figuring out how to see all parts of India and South Asia that she hasn’t already visited while not neglecting the rest of the world. Elen blogs about her travels at Wilderness Metropolis. Although she lives in the dusty, honking metropolis of Kathmandu, she takes any opportunity to hike up the nearby mountains or hang out beside one of Nepal’s beautiful rivers. She’s been published in a wide range of publications, from academic journals to luxury travel blogs, and everything in between. Read Elen‘s past articles on Pink Pangea here. I’m producing content I feel good about more regularly than I have in years and feeling more secure in who I am and where I’m going. The women I met on the retreat were so talented and inspiring – I love keeping in touch with them and seeing what they’re pursuing after our shared retreat experiences. I recommend the Pink Pangea travel writing retreat to any woman of any age who has a penchant for exploration and a willingness to try something new!